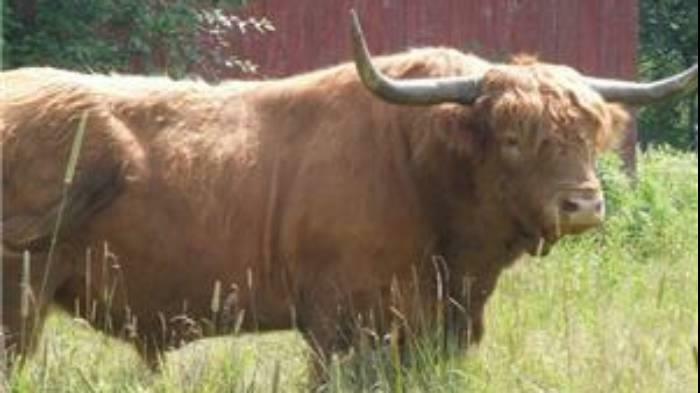 Highland beef cattle originated in Scotland, and it is a tough but gentle breed. It has to be, in order to survive the harsh Scottish weather. Traditionally, they have been used as house cows for small farmers. Nowadays they are bred worldwide for their high-quality beef. Physically, they are a sturdy breed of bovine. They have short legs, and a thick, shaggy coat. The coat is a very important feature- there is an oily outer coat of hair, and a downy undercoat. It protects the animal from the harsh winds and flying snow of the Scottish Highlands, and allows them to survive the long winters. They are an ideal working animal for cold climates. Conversely, they would not do well in a warm climate. They have long, curved horns and widely spaced eyes (usually covered by the long hair!) Their coloring can range from black to red to tan. Bulls can grow to be 1,800 pounds, while a full-grown cow will weigh around 1,100 pounds. Their milk has a higher butterfat content than other breeds, and they produce fine quality meat. The meat has a lower fat content, since the utility of their coats keep them from developing a subcutaneous fat layer. Temperament wise, you couldn’t ask for a better breed of cattle. They are calm, gentle animals, rivaled only by the protectiveness they show for their young. 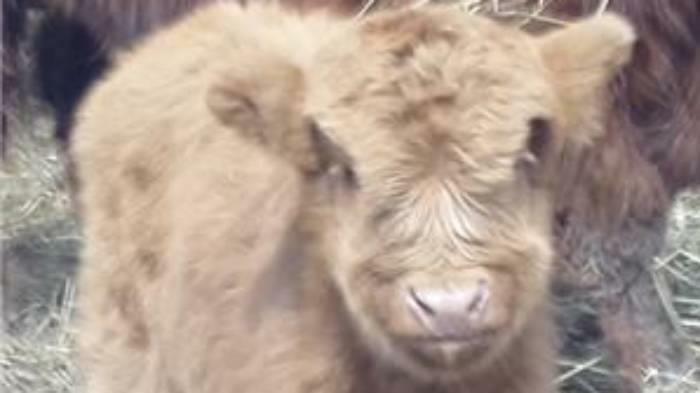 Highland beef cattle are a great choice for a small farm, either to keep as pets or to breed and sell for meat.